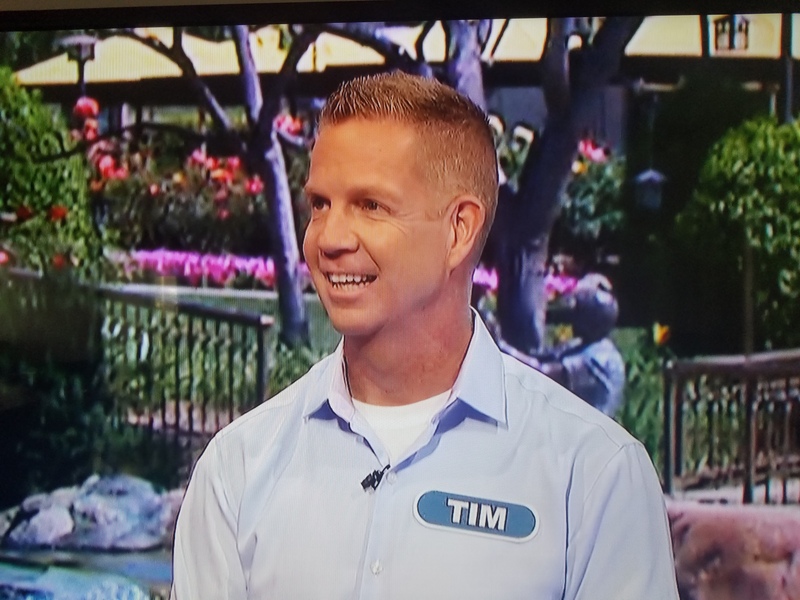 It was a blast to be a contestant on Wheel of Fortune, and it was a privilege to watch the show live with friends and family. Thank you to everyone online who sent pictures and posted on social media. You made it even more special. Thank you! I get loads of questions regarding the experience. 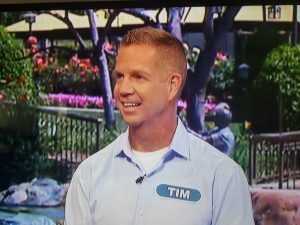 WheelofFortune.com asked me to write a blog about my experience for their site. It is a privilege to be the featured contestant this week! They published a condensed version of this blog. You can read the WheelofFortune.com blog here. Yes! I won $20,050 in cash and a trip to Antigua, a total of almost $27,000 in cash and prizes. Wow! The trick is keeping the results secret between the time you tape and the time the show airs, usually around two months. Mums the word. I taped my episode on July 28, 2018, and had to keep the secret until October 5 when it finally aired. #2. Did you get to meet Pat Sajak and Vanna White? They are humble and kind. They make you feel really comfortable. When Vanna came into our contestant room, she was wearing a pair of jeans and a t-shirt with her hair pulled back and no make-up. She was super down-to-earth. #3. How did you audition? I submitted a video online on wheeloffortune.com in November of 2016. (That’s right, 2016!) A few weeks later I was invited to a live audition in Tampa in January 2017. I auditioned in Tampa with sixty other hopefuls. Two weeks later I received a letter stating I was selected as a contestant. In the letter, they stated they would try to get me on the show sometime in the next 18 months. In early July 2018, I received a call from the producers asking if I was available to tape on July 28! Game on! I auditioned because I wanted the experience. I wanted to see what it was like behind the scenes. I highly recommend auditioning for the show. What do you have to lose? As a minister, I am used to being in front of crowds, but this was different. During the morning training, I was so nervous I was sweating profusely. I had massive underarm sweat marks on my shirt! Finally, I asked a contestant coordinator if I should put an undershirt on. With a look of alarm, she told me to change as quickly as possible! I didn’t know we were about to head out to the studio to shoot the promos for the local stations. So yes, I was nervous. #5. Did adrenaline kick in? Once the game started, my adrenaline kicked in so hard I could hardly think. The first toss-up felt like it was in slow motion. My brain was completely overloaded. Somehow I was the first one to ring in, and I solved the puzzle. I vaguely remember winning the second toss-up and the first round. I won the second round, but I have no recollection of what happened or how much I won. I won the prize puzzle round. I do not remember Pat coming over and telling me I was going to Antigua. My brain was busy trying to figure out insignificant things. My belt buckle kept sliding to the right when I spun the wheel. My brain locked onto that. I shifted it back to center while Pat was congratulating me on winning the trip. I don’t even remember what Pat said. For some reason, my belt buckle seemed more important at the time! I laugh every time I think about this! #6. What was the studio like? It was a thrill to see the wheel for the first time! When I first stepped into the studio, I was struck by how much smaller it is than it appears on TV. The wheel seems smaller. The distance between the contestants and the puzzle board feels smaller. Everything seems condensed. Off camera, in front of the wheel, is a monitor that shows how much money you have on the board, how much you have already won, and any prizes you have won. Over to the puzzle board side of the studio, the used letter board hangs from the ceiling to the left of the puzzle board so you can refer to it as the game progresses. #7. Did you have to wear makeup? Yes, and I loved it. Ha! The makeup artist was fantastic, and it was one of the most relaxing moments of the day. I almost fell asleep while she was working on me. Eventually, I completely forgot I was wearing makeup. After taping the show, I almost left the building with it still on. One of the contestant coordinators stopped me at the last moment. That would have been awkward! The studio at Sony Pictures where Wheel of Fortune is filmed also houses the studio for Jeopardy. The make-up artist that did my make-up also does make-up for Alex Trebek. I felt like royalty! #8 How many shows do they film in one day? Six. Taping begins at noon and ends around 6:00 PM. Contestant training begins at 7:45 AM. My episode was the first taping of the day. Special thanks to the contestant coordinators who take people like me off the street and get them ready for a national television appearance in four hours. Amazing staff! #9. Do you have to pay taxes on what you won? Yes, or go to jail. I’ll pay State of California tax because the money was earned in that state, and then I’ll pay my normal federal income taxes. An interesting side-note is that you also pay taxes on non-cash prizes, like the trip to Antigua I won. (See bonus question #11 below.) The tax is on the estimated value of the prize. You have the option of forfeiting any prize if you do not want to pay the taxes. #10. When do you get your winnings? Four months after the episode airs. I should receive a check on February 5, 2019. #11. Bonus Question: When are you going to Antigua? Who are you taking with you? I forfeited the trip to Antigua. The trip was valued at almost $7,000. The income tax on that would be about $1,700. If someone offered me a trip to Antigua for $1,700, would buy it? Probably not. So I forfeited the trip. I decided I would rather save the tax money for something else, maybe a trip to Australia. I do not receive any cash value for the trip. Another issue with the trip is that I could not transfer it, sell it, or exchange it. I had to be one of the two people on the trip. So who do I take with me? Who do I leave home? It quickly becomes complicated! I think if you are married, then it is probably a good value. As a single, it just didn’t make sense. It was a privilege to have a small part in the history of this iconic show. I am grateful for everyone involved from the producers, the contestant coordinators, the makeup artists, and of course, Pat and Vanna. Even though my brain was fried, I will never forget the incredible experience of being a contestant on Wheel of Fortune. I am so blessed.